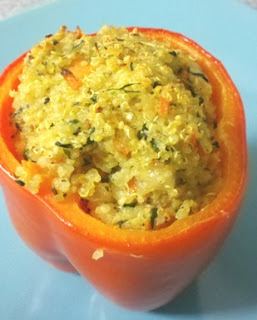 I'm excited to feature a guest post today by my friend Jenn Cohen. I went to Palmer College of Chiropractic in Florida with her husband Avery, and my wife and I enjoyed getting to know Jenn and Avery, and their son Nolan. Jenn is a Personal Trainer and Fitness Instructor, she designed and teaches a Prenatal Fitness class. Jenn’s class provides moms-to-be with an outlet for physical activity, mental clarity, emotional support and social interaction. Jenn and her husband Dr. Avery Cohen, D.C. had Nolan on June 9, 2009. Visit her blog http://www.the-natural-mama.blogspot.com/ for more great information. As a Certified Personal Trainer, mother to a 19-month-old, and the wife of a Chiropractic Physician, I know first-hand the amazing benefits a mother-to-be can receive from regular chiropractic care and proper exercises during and after pregnancy. I had a comfortable, easy, amazing pregnancy. I felt great the whole time because my body was balanced and my nervous system was functioning at 100%. I stayed active throughout my whole pregnancy, biking up until three weeks prior to the birth. I received weekly chiropractic care and massages, continued Yoga and Pilates (with modifications) up until just days before birth, and I used the basic principles of Yoga through labor. As I specialize in prenatal and postnatal fitness, I’ve seen tremendous results with my clients when incorporating chiropractic, Yoga, Pilates-based principles, strength-training and cardiovascular exercise designed especially for pregnant women. Pregnancy is different for each woman, and a chiropractor and personal trainer can work together to balance the pelvis and the spine for a pregnant woman. A balanced pelvis comes from a strong core, which will help support the growing uterus. If the body is not balanced, the pelvic ligaments could over-contract, causing the baby to shift into an undesirable presentation and can cause the mother pain or discomfort. Even if there is no pain, the imbalanced ligaments can cause an altered center of gravity and affect proprioception, possibly leading to many complaints. As the mother’s body changes during pregnancy, the spine takes on the toll of these postural changes. As her belly grows larger, she might have a tendency to over extend the lumbar curve in the low back. This could cause tight low back muscles and tight hip flexors. To maintain a center of gravity, the thoracic spine might flex more with rounded shoulders and a forward head posture, resulting in tight neck extensors. Upper-cross/lower-cross syndrome is very common among pregnant women. Proper breathing is a huge component of both Pilates and Yoga. As the baby and uterus grows larger, it will start to push up on the diaphragm. This results in shortness of breath/difficulty of breathing. Many mothers then resort to shallow, chest breathing instead of deep belly breathing. Shallowly breathing into the upper portion of the lungs prevents full oxygen exchange. It also overuses the accessory breathing muscles creating tension in the neck and shoulders. The more focused the breath is, the more relaxed the mother will be, the more oxygen will be supplied to her body as well as the baby and placenta. Deep breathing and relaxation that comes with Yoga can help relieve STRESS! Stress is a main contributor to: high blood pressure, gestational diabetes, fatigue and/or insomnia, headaches and irritability. If the mother can relieve stress, she can avoid many other health issues to herself and the unborn baby. The relaxation and meditation that I teach in my Prenatal Fitness class helps with labor and delivery. Whatever childbirth method the mother decides to use, they all have a common factor of focus, concentration, breathing and visualization, which we work on in our class. Many say that when the mother can visualize and meditate on her birth, it often goes much smoother and quicker, with less of a chance for complications. What’s in it for baby? Many researchers theorize that changes in heart rate and oxygen levels in exercising moms-to-be stimulate the baby. They also think that babies that are born to active moms are more fit, born at healthier weights, smarter, better self-soothers and reduced risk for diabetes in the future. Plus, they have a strong, centered mama ready to take care of them! First trimester can come with fatigue and nausea. Heavy exercise might not be desirable. If you can get outside for a short walk, it can boost you energy and the fresh air will diminish nausea. Second and most of third trimester can come with a burst of energy. Increased blood volume in your body will boost your VO2 (the volume of oxygen in your blood). Some cardiovascular exercises you normally would find difficult might seem easier now. Make sure your heart rate does not exceed 70% max heart rate. The third trimester will come with an overall feeling of excitement, anxiousness, fatigue at some times and bursts of energy in preparation of the baby. Exercise can help you burn off some nervous energy, clear your mind and boost your mood. 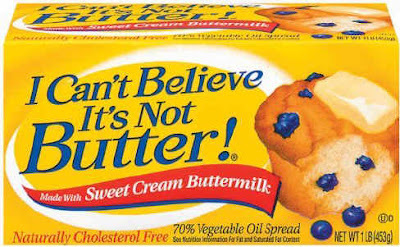 If it's not butter, then what is it? It's chemically made by mixing unhealthy corn, soy or cottonseed oils with nickel oxide. Heated to very high temperatures further ruining the oils, mixed with emulsifiers and starch, steam cleaned to remove the odor, bleached to remove the color and then dyed the color of butter. Finally it's injected with flavor to taste like butter! Eat real foods, not chemically made foods. Always choose real butter or ghee over fake alternatives such as margarine. A chicken isn't just a chicken. There is a big difference between chickens that are free to roam on pastures and chickens raised commercially on grains, drugs, hormones and no room to move. The price of the free range, pastured raised chicken may be more but you're also getting a totally different product. It's like saying a Corvette and a Cavalier are the same just because they are both cars!